Unlike other occasions, like weddings or funerals, there is really no strict etiquette when it comes to having birthday flowers delivered. However, there are a few things you should probably keep in mind. Firstly, consider your relationship with the recipient. If it’s your friend’s birthday, and she is not your girlfriend, you should probably avoid a bouquet of red roses, as those are reserved for more romantic intentions. If you want to send birthday bouquet to a man, which is perfectly acceptable and increasingly popular, opt for bold, exotic and simple bouquets and stay away from soft, pastel tones. If you want to surprise your mom on her birthday, she would love soft pastel tones with delicate flowers. Consider the timing too – if you want to make sure your surprise arrives at their door first thing in the morning, pay a little extra for the dedicated flower delivery time. It makes a real difference for someone to start the big day with a bold bouquet brightening the morning. At Hanoi Flower Shop you can choose from various timed options that will guarantee to reach the recipient in the dedicated time slot and also enjoy free next day delivery from Monday to Sunday. Having birthday flowers delivered in the office has also added benefits – if your intention is to make sure all her colleagues know what a thoughtful boyfriend or a friend they have. Again, consider the timing and make sure the flowers arrive there before the office closes its doors before 6pm. When buying a birthday bouquet in the Hanoi, you don’t really need to worry about splashing out – you can get beautiful and well-presented birthday bouquets for just under 60USD. Birthday message also makes a difference – make sure you include one that’s not just plain simple Happy Birthday, but a little more personal. And don’t forget to sign the card! If you don’t put your name in the card, the recipient may not find out who the flowers are from. – December’s flower is a narcissus or a holly, which signify formality, good will and conceit. At Hanoi Flower Shop you can get birthday flowers delivered anywhere in the Hanoi, no matter if you are in Hanoi, Hue, Danang, Hai Phong, Hochiminh city…, our service covers all small and big districts with our free same day delivery. This entry was posted in Hanoi Birthday flowers and tagged best flower in hanoi, birthday bouquet, hanoi florist, hanoi flower delivery, hanoi flowers on August 9, 2016 by hanoiflowersshop. Sending flowers is undoubtedly one of the best ways to say: “I love you” or “Happy Birthday”. Not only does your selection of flowers show your imagination and care, but it also sends your feelings in a fragrant and fantastic package. Obviously, the most awesome feeling you can bring to someone very special to you can be an unexpected receiving of beautiful flowers and for thousands of years, people have agreed that flowers are the best way to send people’s wishes, declare love, celebrate a special occasion or just simply show how much you care. If you want to send flowers to Hanoi, Vietnam, you have come to the right place. Hanoi Flower Shop has a variety of gift choices right here at your fingertips. Once you have made your selection, simply click the “order now” button and your order of flowers will be crafted. From a bunch of bright flowers to a potted plant or basket of fruits, we have everything you need to mark a special occasion. We also offer great add-on gifts like tasty chocolate, soft teddy bears and celebratory champers. Our head office is based in Hanoi and we can send flowers almost all over the world. We have experienced florists, reputable suppliers, advanced order systems, and friendly consultants who can assist you with everything from choosing the perfect gift and taking your order to post delivery support. We will assist you in choosing carnations for your mother because they represent maternal love. We’ll help you choose bright and lovely roses to celebrate the birthday of a special girl in your life. We’ll help you select the perpect bouquet for your partner, making sure it is imaginative and suited to their personal tastes. We love hearing that the flowers sent were a success. Our flower delivery network covers most of Vietnam, free shipping all orders. Your flowers will be hand-delivered by one of professional florists, using olnly the freshest and premium flowers.We are a flower company that enjoys helping thousands of Vietnamese receive love in the form of flowers each month. So why do you hesitate to send flowers to your loved ones? Give a try and see for youself, you won’t be disappointed. This entry was posted in Send flowers to Hanoi and tagged best flower in hanoi, flowers to hanoi, hanoi florist, hanoi flowers, send flowers on October 11, 2015 by hanoiflowersshop. Hanoi Flower Delivery is avaiable anywhere in Vietnam. We offer fresh flowers with hand delivery service. 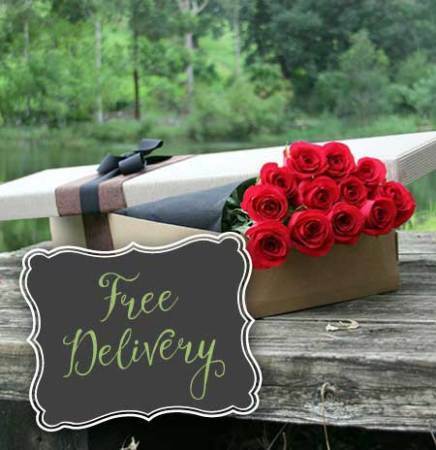 Find something special for someone special and have it delivered today. Browse our extensive online selections for bouquets, baskets, birthday cakes, teddy bears, fruit baskets and other gifts. When you find a perfect gift, you can easily order online or call us directly. Beautiful flowers are delivered to friends and families in Hanoi or across the country. 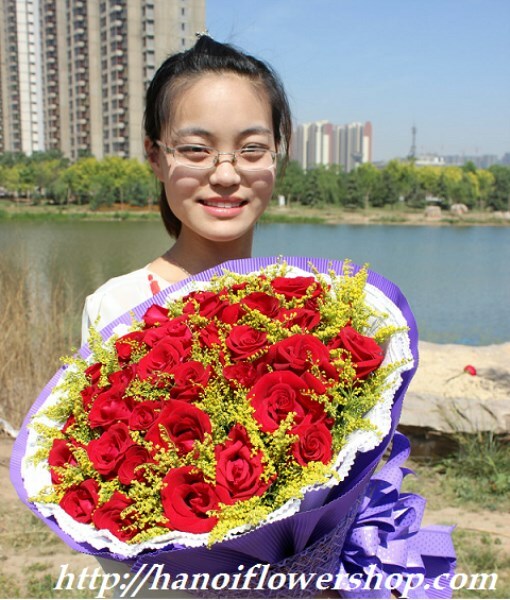 Hanoi Flower Delivery and throughout Vietnam – hand delivered by local florist. You are sure to find something for your loved ones. All our flowers have been exclusively designed and arranged by our designers for you for any occations. Whatever you choose you are sure to find something for your loved one to celebrate their birthday, anniversary, graduation, new born baby christmas, new year or whaever. We also offer sympathy and funeral flowers as well to help you show them how much you care. 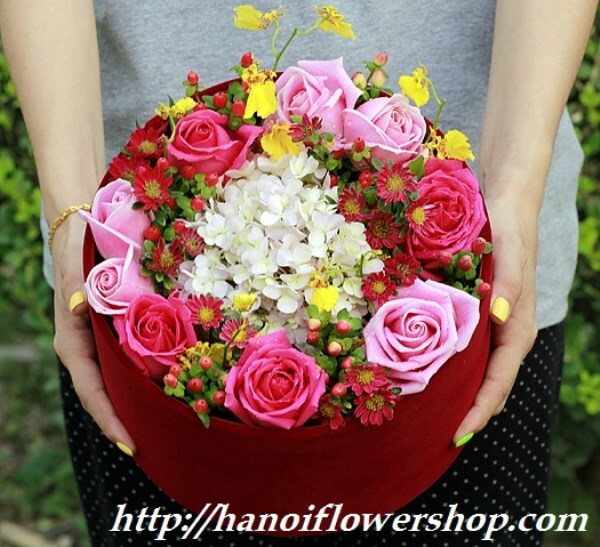 Hanoi Flower Delivery is an online company with quality flowers for any occasions. We have a wonderful variety of fresh flowers and plants including roses, orchids, tulips, carnations, lilies and more. We also offer delicious gift basket of fresh fruits, tasty chocolates, candies and cakes. As a top florist in Hanoi, our flowers are always delivered on time and get good feedback from the recievers. Each bouquet of flowers is carefully arranged and delivered to your recipient, so they are always guaranteed fresh and beautiful everytime. 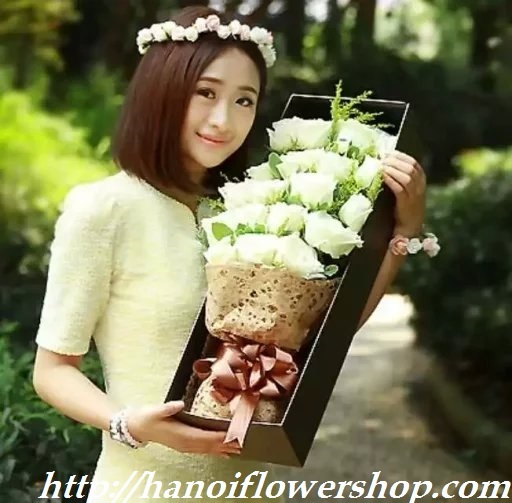 This entry was posted in Flowers to Hanoi and tagged best flower in hanoi, florist hanoi, hanoi flower delivery, hanoi flower shop, hanoi flowers on October 7, 2015 by hanoiflowersshop.